I am sending out my gratitude wrapped in a big hug today to all of my foodie friends who voted for my Vanilla Infused Blueberry, Apple, & Lemon Crostata! I am pleased to announce that this recipe had indeed made it to the finals, and I have only you to thank! Here's to hoping that Hungry Girl Lisa Lillien is craving dessert! One lucky winner will be chosen this Friday May 17th... Hope it is me :) Stay Tuned. I am not just posting a delicious recipe, I am actually righting a wrong. It all started 22 years ago when I was pregnant with my second child Christopher. If you've ever been pregnant you will understand that when you discover a dish that you love - it tastes so amazingly good, you simply cannot get it out of you head, and you just cannot get enough of it. For me it was a yummy berry crostata. It was on the dessert menu at an Italian restaurant in my neighborhood. Oh and it was not just any crostata, it was a pastry from heaven. In fact, I am quite certain it is what they serve at the gates of Heaven! It really was that good… Or maybe it was just because I was with child? But I digress. After faithfully patronizing this restaurant at least once a week for a couple of months, I walked in for my weekly sweet treat fix, and to my horror my beloved crostata had been taken off the menu! Not only that, they had the audacity to replace it with something so boring I simply can't even remember what it was. Taking my favorite dessert off the menu while I was in the middle of my pregnancy was just wrong… How could they? I asked, begged, and even offered to write the owner, but it was no use, it was gone in the blink of an eye - just like that. And did they share the recipe with me? No they did not… But that’s okay, because I figured it out. Thanks to a contest sponsored by the Hungry Girl Lisa Lillien and Pompeian Foods, today is my day to right that injustice for me, my son, my family, and for all mankind. The best thing about it is that my crostata recipe is even more delicious than theirs used to be, because mine is made with lots of love and much healthier ingredients. When writing this recipe I decided to swap out the butter and replace it with delicious and healthy heart smart grapeseed oil from Pompeian....And oh baby, is it yummy! 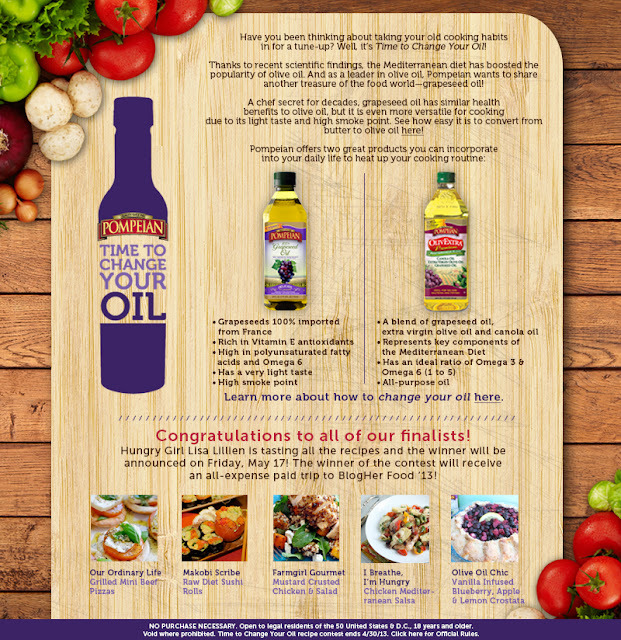 Pompeian Grapeseed Oil is imported from France. It has a mild flavor and high smoke point which makes it perfect for baking. It is also very rich with vitamin E and antioxidants. 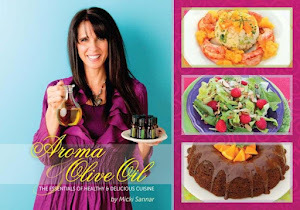 I have found it to be fantastic baking oil and I think you will too. A crostata is a traditional Italian tart, but this crostata is breaking with tradition. Rather than using lots of butter to make the crust, I am using Pompeian’s Grapeseed Oil in it’s place. After just one bite, you will be surprised at the amazing texture and flavor. In fact I am absolutely positive that you will not miss the butter at all. 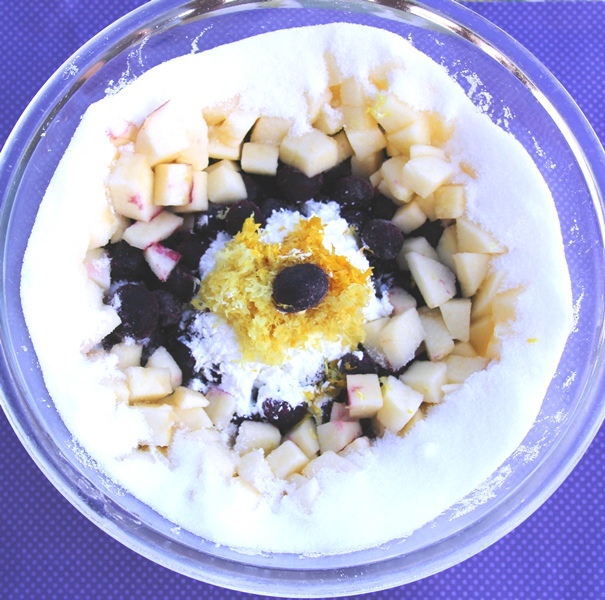 Packed with tender blueberries, tart apples, lemon zest, and pure vanilla awesomeness, you are in for one delicious and healthy mouthwatering treat! Another bonus; this recipe can easily be prepared for our dairy free and vegan friends. Look at the suggestion at the end of the recipe. 1. Preheat oven to 400° F, and spray or brush a large baking sheet with Pompeian's Grapeseed Oil. 2. In mixing bowl add flour, sugar, and salt. Mix together. 3. Add grapeseed oil, buttermilk, and vanilla. Blend all ingredients by hand until well combined. 4. 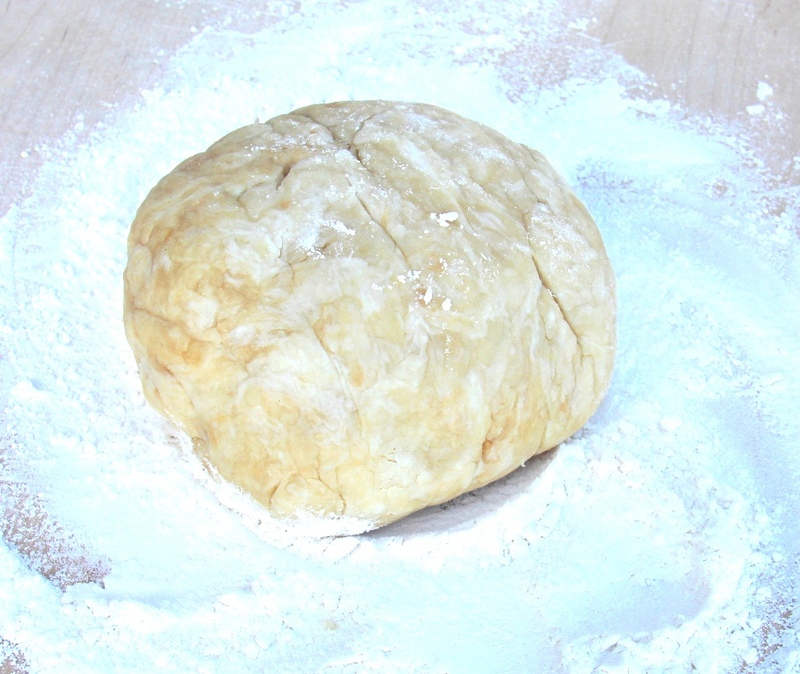 Form one large dough ball and place on a floured surface. 1. If using frozen blueberries, remove them from the freezer just before combining the remaining ingredients. 2. 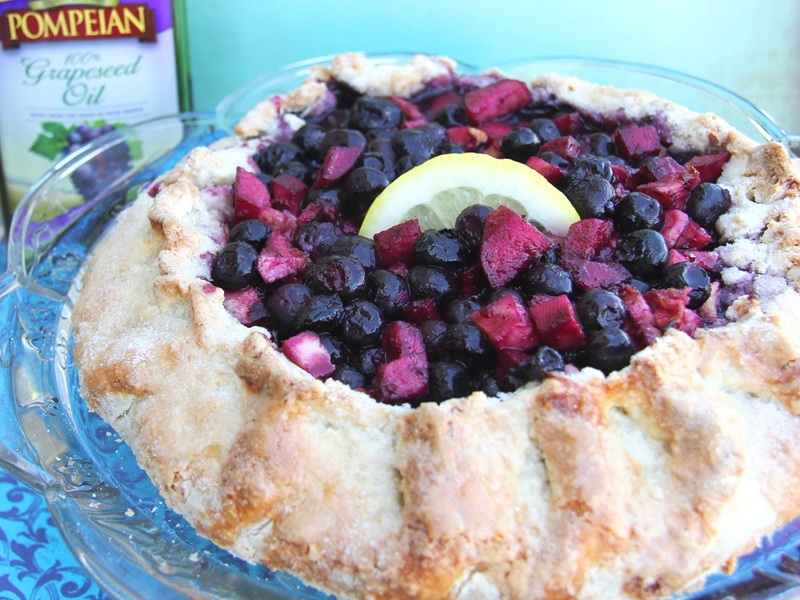 In a large mixing bowl combine all ingredients and pour into the center of the crostata crust. 1. 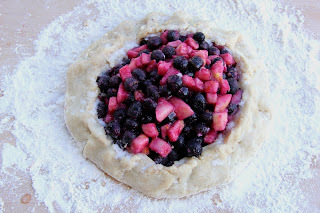 Fold edges of the crust, covering about one third of the berry mixture. 2. Brush the top of the dough with and egg wash or grapeseed oil and sprinkle with sugar. 3. Drizzle 1 tablespoon grapeseed oil over the top of the blueberry mixture. 4. Bake for 50-60 minutes or until berries are bubbly and crostata crust is golden brown. A must with this recipe…Serve piping hot with a scoop of vanilla bean ice cream. Prepare buttermilk by adding 1 tablespoon of cider vinegar to almond, rice, or soy milk. Allow to rest for 10 minutes, and you have the perfect buttermilk substitute!! !